Here in Top Mexico Real Estate, we deal with international customers on a daily basis; and often we find there is a lot of questions regarding the Fideicomiso. For that reason we compiled this list of frequently asked questions about the Fideicomiso and its functions, hoping our customers find it useful. A Fideicomiso is a legal document that allows a foreign buyer to acquire a property located 32 miles inland from the coast or 64 miles from any international border. A Fideicomiso is issued by a bank and estates the possession and rights on the property, but legally the bank appears as the owner of the property. A Fideicomiso is issued for 50 years, and it is possible to renew it at any moment by a simple form at the bank. Why do I need a Fideicomiso? 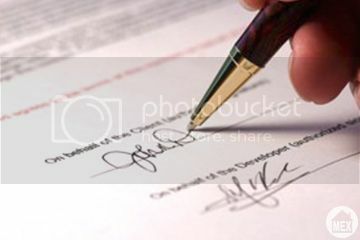 This is a document designed to protect the buyer. 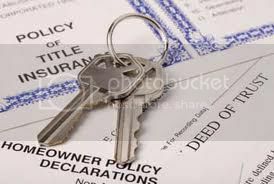 To issue this document, the bank verifies that all the paperwork for the property is in order. How does a Fideicomiso Work? The bank, also called the Fidecomisario keeps the title of the property, who is known as the Beneficiario. This property is not part of the bank assets, and cannot be kept by the bank. Technically the bank owns the property, but the Beneficiario or owner has all the rights on the property and the banks has to follow instructions from the owner regarding the property. What are my rights as a Beneficiario or owner of the property? The Beneficiario has the right to sell, rent, mortgage, inherit or any other legal act they wish with the property. It is also the Beneficiario’s right to keep any earning for the rent or sale of the property, once the taxes have been covered. A property with a Fideicomiso in place can be inherited and these doesn’t cause any tax to the people receiving it, this can be accomplished by naming them substitute beneficiaries in case of your death. How long does a Fideicomiso last? It can be as long as 50 years, and it is renewable. To establish a Fideicomiso the prices go from $1,000 to $1,500 USD, and there is a yearly fee that goes from $300 to $500 USD. These fees are paid directly to the bank that manages the Fideicomiso. How is A Fideicomiso Established? The process is done by a Notary, under special permission from the Secretary of International Affairs of Mexico. At the moment of closing the buyer, a representative from the bank and the notary are present to sign the title of the property.